Rock cutting can be quite a difficult process, and people will employ all manner of tools to do it---hand saws, chisels and specialized saws among them. The simplest way to make your own rock saw is to attach a rock-cutting blade onto a circular saw. A circular saw is a commonly available electric saw distinguished by its round cutting blade. There are many blades available for rock cutting that are differentiated by what materials they are meant to cut, as well as by price and quality. With a rock saw, you won't have to bring out the chisel every time you need to cut some rock. Find the rock-cutting blade that is right for you. 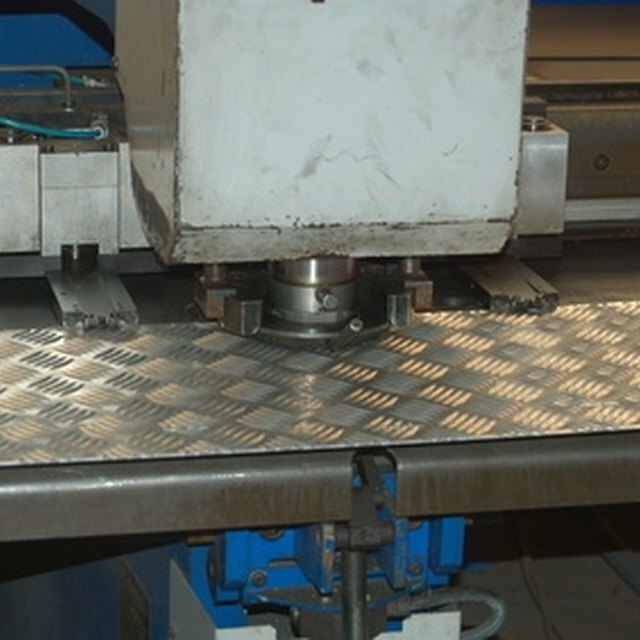 Factors that affect this include the strength of the material to be cut, how much material is to be cut (if the blade must be used frequently it should be of higher quality), and budget. Look through the blades available at your chosen shop and select one that is made to cut the material or materials you need cut. The blade chosen will likely be either a diamond-tipped or abrasive blade. Push back the blade guard (the retractable piece of metal covering the blade) on your circular saw and firmly grasp the blade with your gloved hand. Place the wrench on the nut located in the center of the blade. Rotate counterclockwise while holding the blade still with your other hand. Pull the washer and nut off, and set them to the side. Lift the old blade up and off of the bolt, while holding the blade guard back. Pull the old blade out and set to the side. Push the new rock-cutting blade into place, sliding the center hole over the bolt. Look at the arrow printed on the blade and the arrow printed on the guard. Continue to the next step if they are facing the same direction; if they are not, pull the blade out, flip it over and slide back in. Replace the washer over the bolt, and replace the nut over the washer. Tighten the nut with your fingers. Hold the blade with your gloved hand, and attach the wrench to the nut. Tighten by screwing clockwise. Spray the rock down with a fine layer of water before cutting; this will help keep the blade from overheating. Take breaks halfway through the job for the same reason. Cutting rock can create potential dangerous dust and flying chips. Wear proper eye and breathing protection.